We are a 6 bedroomed hotel and dogs are more than welcome in our hotel, as well as in our bar and recently opened “Coffee Lounge”. We have free wifi, Sky Sports, sell meals within our Steak House, or light bites in our bar and coffee lounge. We also have a lovely beer garden, which is dog friendly. We welcome all owners with their dogs. 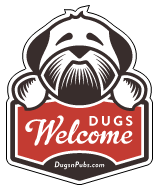 There are a total of 9 dog friendly listings in the East Lothian category. Please log in, or sign up as a member to view all listings.